'wonderful, moving, humorous ... extremely poignant' Charlie Mortimer, Dear Lupin'Iain's love for his son shines through every sentence of this affecting account, as does his guilt. 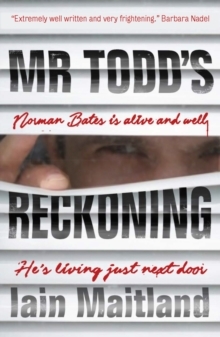 This is a wonderfully entertaining and moving book, with lessons for every parent.' Daily Mail'A moving read - honest, funny and sad' Woman and Home'Raising the issue of men's mental health is important ... loving and well meant mix of letters and commentary.' ExpressDear Michael, Moving your whatnots et al into the flat has put paid to any improvements in my back. Still, at least it's done now. 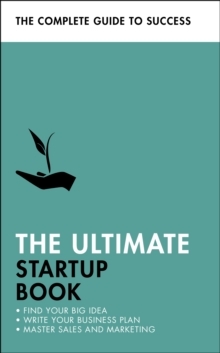 Your mother is already worrying how you'll cope and is at work on reams of notes on all sorts of matters from how to tel if meat has gone off to washing whites. Smell it and wear black is my advice. When Iain Maitland's eldest son left home for university he wrote regularly to him: funny, curmudgeonly letters chronicling their family life and giving Michael unsolicited and hopeless advice on everything from car maintenance to women. He never expected a reply, they were just his way of continuing their relationship. What Iain didn't realise was that away from home his beloved boy was suffering from depression and anorexia. Only much later did it become apparent to Iain and his wife Tracey just how oblivious they had been, and for how very long. 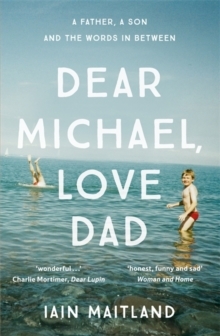 Told through Iain's letters and the unfolding truth of Michael's situation, Dear Michael, Love Dad is a frank and moving account of how we may unwittingly fail our loved ones, despite our best intentions. Above all it offers the hope of reparation and expresses the unbreakable bond between a father and son.